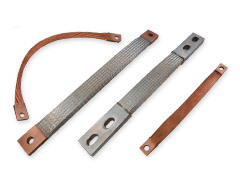 Erie Industrial, a quality provider of custom manufactured copper cable assemblies, provides cable assemblies that can be used as flexible connectors, grounding straps, and shunts. Our products are suitable for use as expansion joints and vibration dampers and they can also be used to compensate for equipment misalignment. 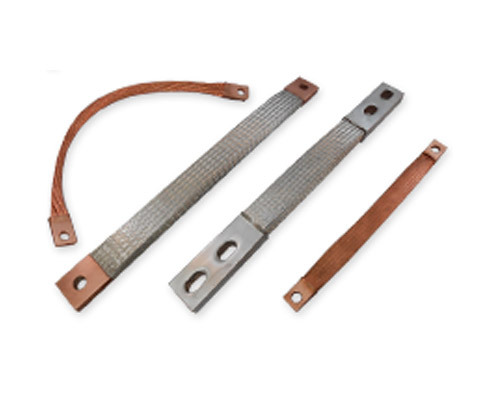 Fabricated from 99.9% pure copper, they feature NEMA standard hole patterns and are available in sizes up to 6' long and ¾" to 6" wide to handle currents up to 3,000 A. Slotted holes are also available, and contacts can be specified up to 4" long and in thickness from ¼" to 1". The assemblies can be supplied either bare or with an electroplating, such as tin or silver, for added corrosion resistance. Manufactured in our modern, ISO-certified facility using cold forming, welding, and brazing techniques, we are able to handle volumes from prototype to full-scale production with lead times as short as 1-2 weeks. All products are fully resistance tested, and we guarantee top quality at competitive prices. To learn more about our custom copper braided jumper assemblies, contact Erie Industrial today. Length Up to 6 ft.